After two sessions of language learning spanning the last semester, we felt our students were in need of more than just verbal encouragement. They needed celebrated on every level! Our weekly English classes are volunteer run, many of them students or graduates from the Institute for G.O.D. This past week, G.O.D. International put on a formal banquet for the students and family members of its English Language Learner (ELL) program in Madison. After two 7-week cycles of classes, the ELL staff felt the students’ hard work warranted a celebration. The banquet was a well-deserved break in the classes to both recognize the students’ hard work in the classroom, and to invite the families of both students and instructors to witness the bond that has developed. This program was initiated after children who attended Camp Skillz pleaded with our staff to teach their mothers how to speak English. As is the case with many second-generation Americans, as the children attend school, they learn to predominantly communicate in English, but their parents, lacking everyday exposure, continue speaking in Spanish. When we began teaching ELL classes we found that those in attendance, mostly mothers, have predominantly been in the United States for many years--some as long as 30--yet, most of them never had the opportunity to study English. They haven’t been able to develop into confident English speakers. As one of the volunteers at the program, I can say that one of our core desires is to help develop their confidence and to help them find their voice in what can be a frightening and inhospitable world. With the help of numerous volunteers (nearly 30! 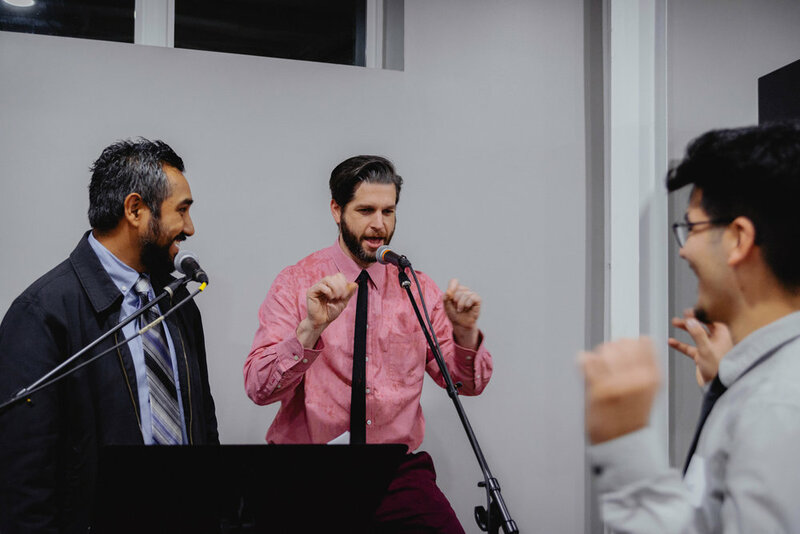 ), local businesses and supporters, we were able to present a candlelit catered meal and entertainment program complete with a memorable choreographed dance by the program’s staff. 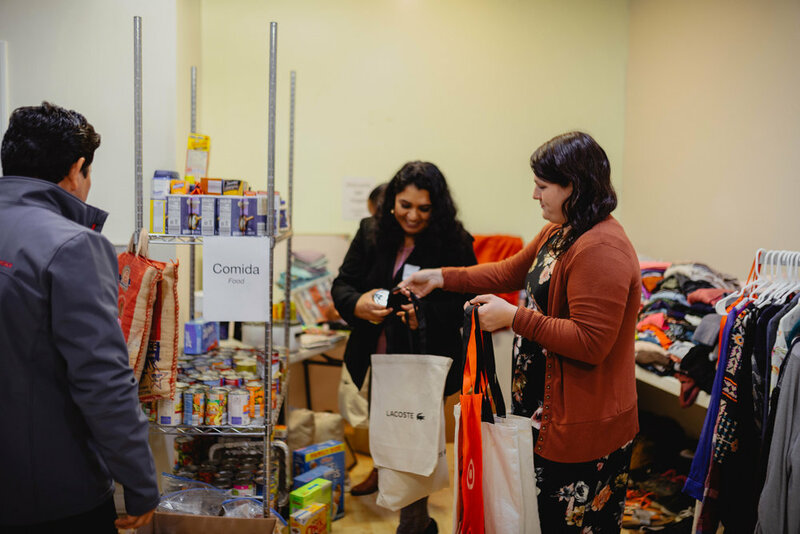 We were also able to provide professional family photographs, give each student’s family a gift basket of donated goods, as well as offer a clothing and food Bazar (Spanish for “market”) for them all to gather items according to their needs. The G.O.D. community generously supplied clothing, food, toys, and household items. The goods filled an entire room, and there was actually so much there were items left over! As our Program Director Rafael Reyes said, ”These students deserve to be served, and it is our honor to serve them.” It is our biblical mandate to love our neighbors, second only to loving the Lord our God with our heart, soul and mind. “On these two commandments hang all the law and the prophets,” (Matt:22:39-40). We are happy to obey. These students are easy to love and it is our joy to do so. As we begin our third cycle of ELL this month, we look forward to all that is yet to come with our friends who are so diligent in their study of the English language. Saturday’s banquet was a tangible reminder of God’s support! We were overwhelmed by the public support we received from so many businesses and vendors who helped us bless our neighbors in this way. Thank You for all of your support!